This time of year, so many of us are busy finishing holiday gifts. Some of us, like me, are just getting started. But what is important over the holidays and the chilly winter days is the knitting and crocheting we are doing for charity. 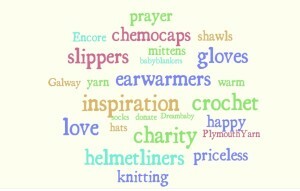 At Plymouth Yarn, a cause near and dear to our hearts are chemo caps but, there are so many in need. Lap blankets, baby hats and blankets, helmet liners for our soldiers, prayer shawls and the list goes on. 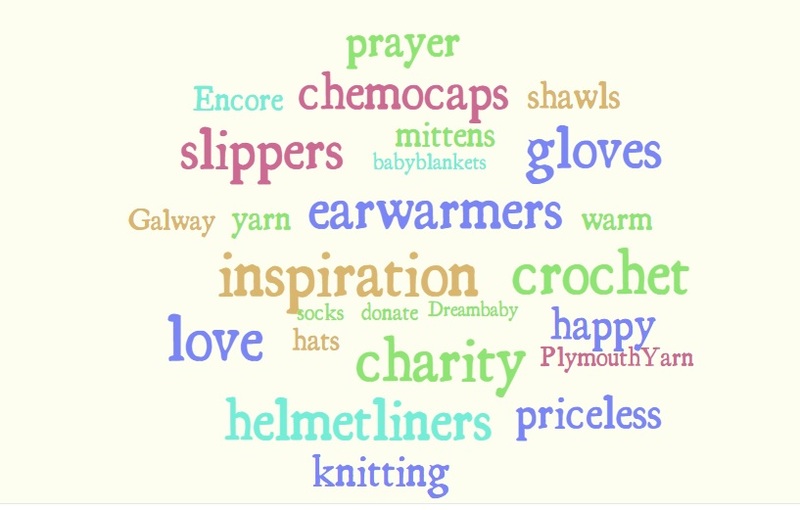 Plymouth Yarn wants to hear about your charity projects. 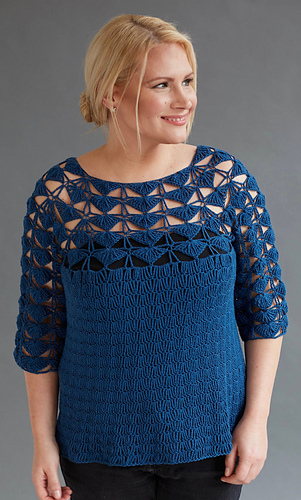 What are some of your favorite items to knit and crochet for your area? Where do you see the most need? We are avid supporters of charitable giving and would like to reward one lucky commenter for all of their wonderful work. We have just one prize this time…a copy of Dora Ohrenstein’s new book Top-Down Crochet Sweaters, Fabulous Patterns with Perfect Fit, featuring the Isabel Sweater in Bio Sesia 5 (photos courtesy of Storey Publishing and Melinda di Mauro on Ravelry) and 10 balls of organic cotton Bio Sesia 5 to complete the project! The book is full of elegant and classic designs. You can also buy your own copy here and see Dora’s designs on Ravelry. 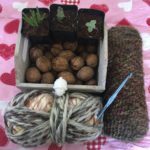 How to Win: please comment on our blog about your charity knitting/crocheting and tell us your favorite item to make for charity. One person will be chosen at random to win the book and the 10 balls of Bio Sesia 5 needed to make the stunning Isabel sweater. Contest is open from now until November 28th, 2016. Winner will be picked November 29th, 2016 and notified via email provided with comment. US residents over 18 years of age only. No purchase necessary. Void where prohibited. 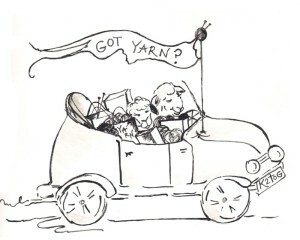 Plymouth Yarn employees and immediate family are not eligible. 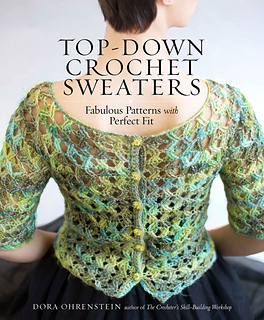 You can also check out the Ravelry group Crochet Insider where they are doing a Top Down CAL for the book! From our family to yours, we hope you have a wonderful Holiday season. PreviousOctober Sweepstakes for Breast Cancer Awareness! I have three knitting projects that I work on all year. I make knitted knockers for our local chemo center for women who have had mastectomies. These are much lighter and more comfortable and can be washed. I knit hats for the same chemo center and knit and crochet scarves for a local Salvation Army Christmas gifts for teens. 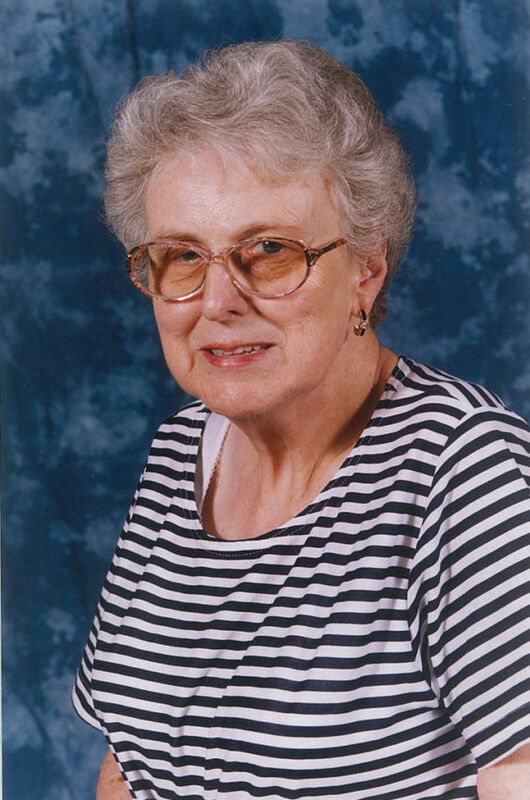 Traditional Salvation Army programs stop providing gifts for these older children. I began “Warm Up America” at all of our local county libraries approx. 9-10 years ago. It has really taken off. We all hand knit or crochet squares approx. 7″ x 9″ and then we sew these squares into blankets. The blankets are then donated to local non profit organizations. We meet twice a month. 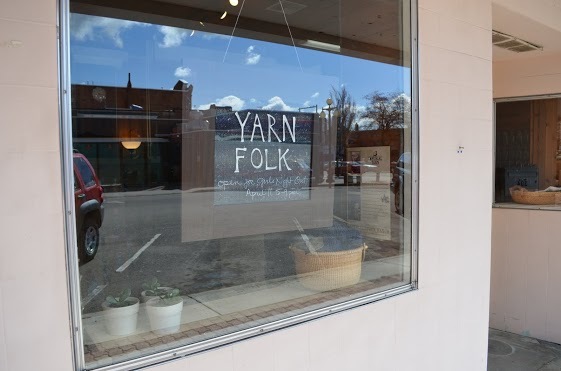 We also teach people how to knit and how to crochet. We also make baby size blankets. This year I have chosen to knit a hat for the homeless shelter for men. They are always full to their capacity of 65 every winter. My favorite charity project is making loveys for children in need. A lovey is a snuggly little blanket with the head and arms of a stuffed animal attached. They’re fun to make and I love imagining the little kids cuddling with them. This year my CGOA guild, Crochet Twin Cities, chose to crochet hats and mittens for kids in a charter school as our charity project. School administrators said some of their children can’t go outside for recess because they don’t have proper cold weather items, so we made them some – 82 hats and 46 pairs of mittens! I chose Plymouth ‘Encore’ yarn to crochet my mittens to keep their hands warm and make the mittens easy to care for. The kids love their new hats and mittens, and so do their parents and teachers. 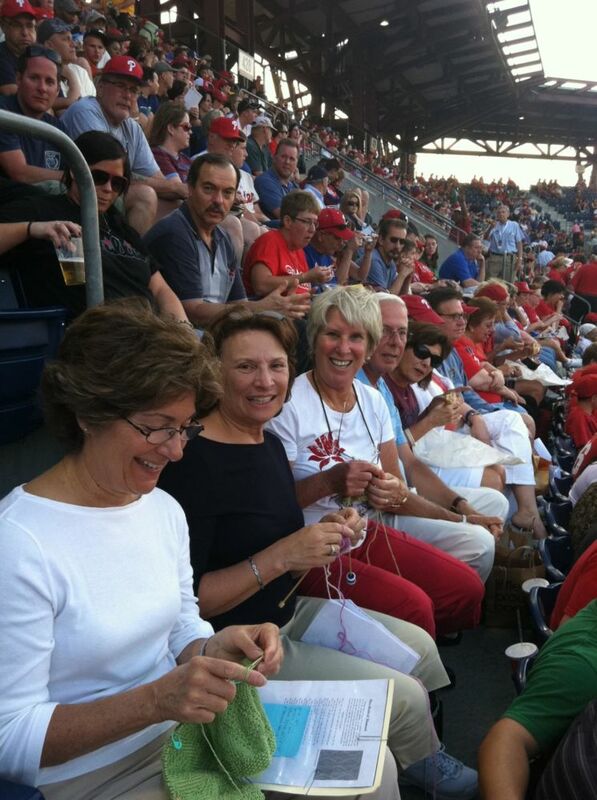 And some of us got to practice crocheting in the round. Last year my CGOA guild made hats for homeless veterans. 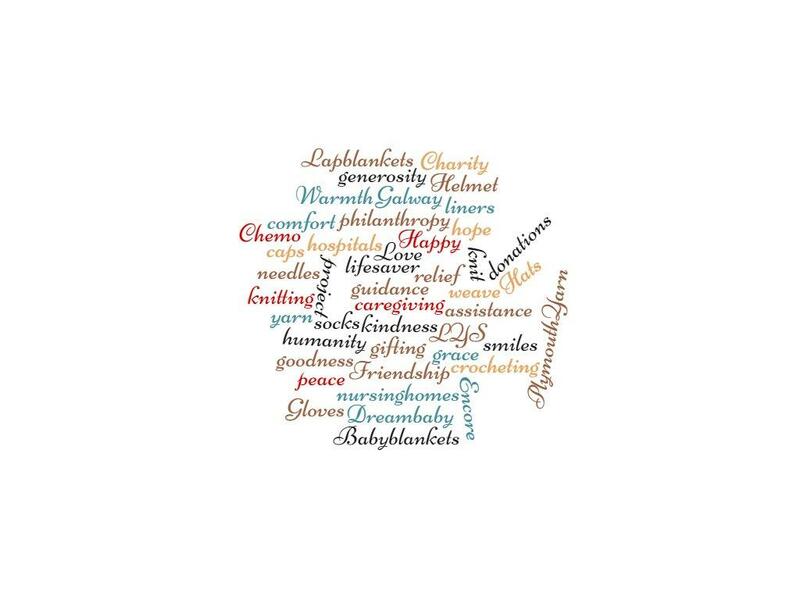 This year I have been making prayer shawls, hats, scarfs and baby blankets and lap blankets, through church. They are used for those in our area that need them. Often we get notes and letters how the shawls have touch someone that was very sick and their family. Crochet baby blankets for charity. Make hats as well. Currently crocheting prayer shawls for our local Church’s Prayer Shawl Ministry. They give them to those in need and/or going through difficult time. The group also makes afghan, blankets, lapghans, etc. If I’m a lucky winner will make the Isabel pattern and will donate it to the group as well. I crochet cat toys to donate to the local shelter for cats awaiting adoption. Usually I make little mice and hearts. The mice are really cute, but the hearts are my favorite to make because they’re fast, plus I like making hearts and sending them out into the world. I have been following closely the news from Standing Rock Indian Reservation, where Native Americans have gathered daily to protest the construction of the Dakota Access Pipeline through their land, a project that would disrupt sacred burial grounds and threaten their water supply. As the protest is likely to continue through the winter, here will be a great need for warm clothing for people of all ages. As anyone familiar with the upper midwest knows, the Dakotas can be miserable in the winter. This is where my charitable stitching will be focused. See the newly-formed Ravelry group: http://www.ravelry.com/groups/help-standing-rock-stand-in-warmth. I’ve made hats and scarves for a local agency that distributes them during the winter. Also crocheted several baby blankies for their Christmas distribution to needy families. Bio Sesia is a lovely yarn. I’ve swatched with it a little bit and would be very happy if I win 10 balls! I knit and crochet hats for a charity out of Delaware. They are sent to cancer centers and cancer patients. I have been crocheting scarves for our local veteran population.I have also made dozens of stars for the vet center as well. I am still working and may add hats and gloves as well. I really enjoy making baby blankets ad scarves for charity. I also try to make a few extras and hand them out to random people around the holidays. It’s fun to see the look on their faces when you hand them an unexpected gift, just because! I like to knit hats and dishcloths for charity. My favorite charity item are little cat blankets I’ve made for the shelter. I make hats every fall for the local hat/scarf/mitten/glove drive for kids. I’m not very fast, so I cna’t make too many, but I figure every bit helps.